It is from these core values that we established the CWS Cares program. 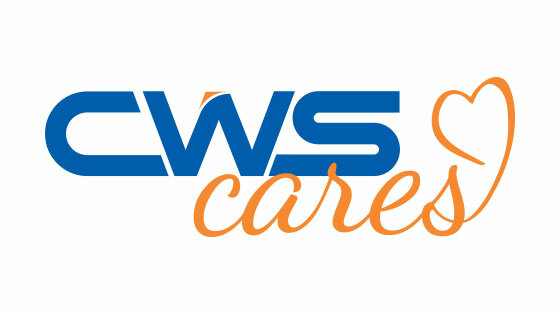 CWS Cares is a yearly initiative where through an application and selection process, we select local nonprofits and donate more than $50,000 in our volunteer time, marketing and web services, and financial support. We are excited to announce the 2018 recipients. The Cabin Fever Bean Bag Tournament is a charitable event working to support the Eagles Cancer Telethon which is dedicated to improving people's lives and has been raising funds to support cancer research for over 60 years. Exercisabilities brings physical therapy, occupational therapy, speech therapy, health, wellness, and recreation programming to everyone, despite any need for adaptation, physical help or financial assistance to achieve safe, active, fun and effective recovery from any medical illness or physical impairment. They work to help all individuals meet their full potential through individualized assessment, goal setting, and program design that is tailored for each unique person. My Town My Music’s aim is to bring more live music into Rochester. They strive to bring a wider range of artists to Rochester as well as serve a commitment to local musicians. Their goal is to cast a spotlight on local artists, groups, and bands through write-ups, interviews, and live shows. This city has some true musical talent. It deserves to be showcased and supported by our community. The Official Love Community began to serve communities, families, and individuals through the support, recruitment, retention, and development of sports officials. They work to promote and advance health and wellness, professional development and community engagement through the platform of sports officiating. Through advocacy and resources, Recovery Is Happening (RIH) serves Southeast Minnesota as a Recovery Community Organization (RCO). Their mission is to mobilize and develop resources that enhance long-term recovery from substance use issues through education, advocacy, and peer support. Rochester Math Club is a non-profit organization consisting of students, coaches, and parents who are dedicated to inspire a mathematical mindset in the Rochester community. Their ultimate goal is to provide math-driven students with an opportunity to expand their understandings of complex mathematical topics. Zumba® on the Plaza is a weekly event in downtown Rochester, MN that focuses on fun and moving. Congratulations to the 2018 CWS Cares recipients! We are so excited to get started working with you! Amy White is a Content Creator. Her main goal is to increase brand awareness through strategic content creation and placement. She strives to create valuable and relatable content. Her marketing experience with clients, ranging from B2B sales, nonprofit organizations, and commercial businesses, has fueled her creativity tank and prepared her for a variety of marketing challenges.